Ice Cream Shop/Store – Ice Cream Treats, Sweats, Maple Products, Fishing Licenses, Camping and Fishing Supplies, Nautical Charts, Ice and Refreshments. Paddle, fish, camp, explore or just relax! Since 1952, the Palmer Family has had the priviledge of providing access and services to those who wish to visit and enjoy the French River Delta. Our knowledge and devotion to this historic area has been passed along for three generations and we will continue to follow the mystic journey of our ancestors as long as the River calls. 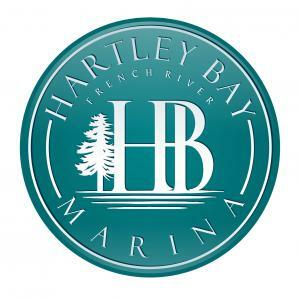 Look no further than Hartley Bay Marina for an unforgettable French River experience! Roque’s Marina is a small marina & campground located on the west end of Channel St, with a family atmosphere & the social gatherings on the deck every afternoon are the highlight of the day. We offer seasonal & transient dockage and camping, a coin-operated laundromat, and showers. There is a 4 bedroom cottage on the property overlooking the water that is available on a weekly basis in July and August, and for shorter periods for the rest of the year. It is fully winterized and heated so is available year round. There is also a trailer which is available to rent by the week or the month, it sleeps 4 and is fully equipped, including air conditioning.